Which one should you choose - Yamaha RX-V383BL vs RX-V377? Well, that depends on what type of music and films you like, how loud you like your film to be played and what features you want the receiver to support. 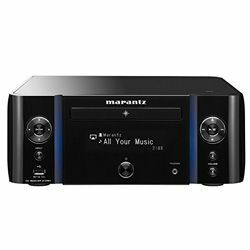 Let’s choose the best Yamaha receiver for you by doing this comparison. Do you want to be able to listen to Internet radio? 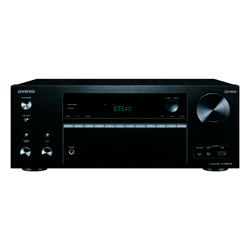 If yes, choose Yamaha RX-V383BL versus Yamaha RX-V377 as the second one doesn’t support Internet Radio at all. 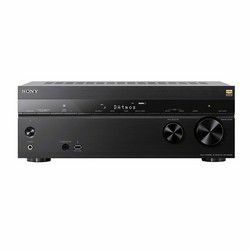 Talking about built-in decoders and audio recognition, both have exactly the same features and therefore my advice is ‘keep it simple’ – try your playlist be in MP3 or WAV and film to use Dolby digital plus. Compare to Yamaha RX-V377, Yamaha RX-V383BL sounds more powerful due to 100 W, 145 W output power per channel. Both receivers have similar connectivity interfaces and have Bluetooth feature embedded only, there is no WiFi or IEEE presented. However, there are also USB and a phone compatible slot available in both models. 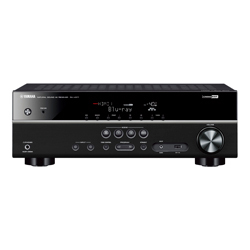 What about physical connectivity in this Yamaha RX-V377 vs RX-V383BL comparison, there are some things in common: one optical digital input, 2 coaxial digital inputs, 4 HDMI inputs, 1 HDMI output, and 1 subwoofer output. 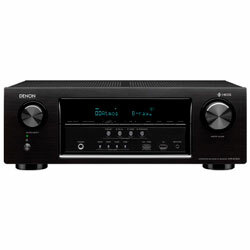 The only difference is that only RX-V377 model has 2 AV inputs. 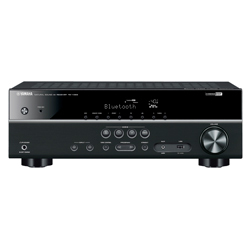 As both of receivers are of the same brand, both Yamaha RX-V383BL and Yamaha RX-V377 are of the same style. There is a screen in the upper part of the front panel and lots of labeled buttons at the bottom part. The remote is very convenient and divided into several sections and pretty self-explanatory. Instead of input selection wheel, there are two arrows on the left that allow you to change the input source, whereas the volume wheel is located on the right as always. Compatible with 3D TVs and Blu-Ray players. Very little noise, only 100 dB SNR. Upscaling via HDMI up to 4K. "Sur. Decode" DSP program is for use with a two-channel input signal only. The RC commander sensor is very restricted – you need to make sure there is a straight line between the remote and the receiver at all times in order for the receiver to perform the commands.